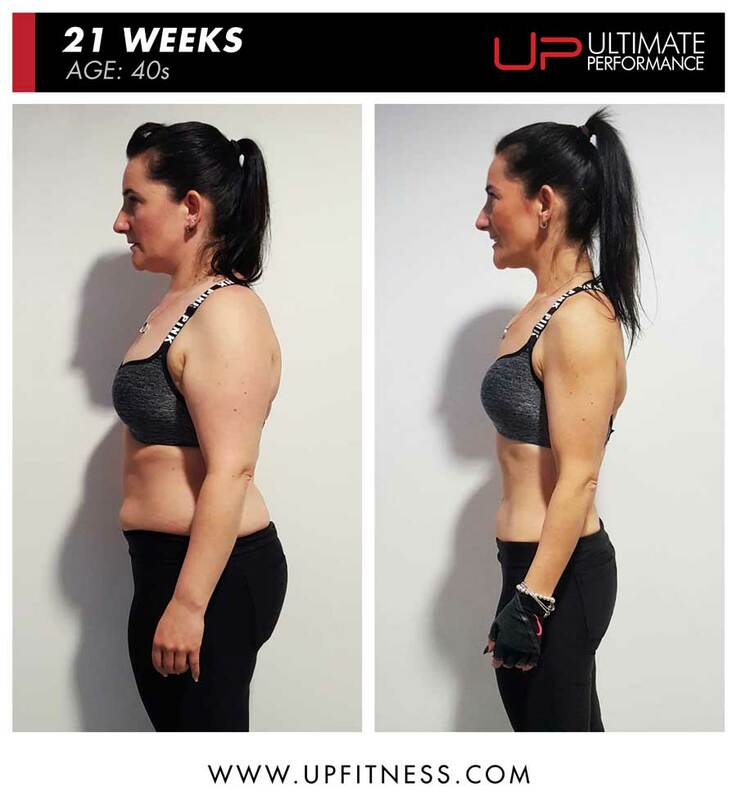 Home / Weight Loss / Real Weight Loss Stories / Rachael Thompson Lost 20 kgs In Only 21 Weeks! 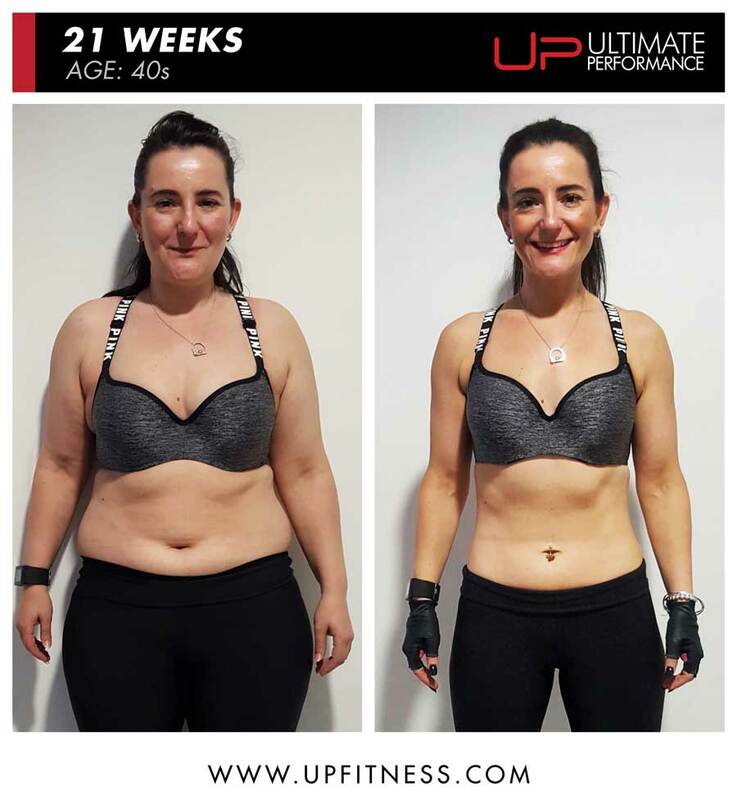 A business area manager Rachel Thompson has dropped three dress sizes in just 21 weeks after losing an astonishing 20kg (just over 3 stone) training at Ultimate Performance. You have dropped three dress sizes in just 21 weeks after losing an astonishing 20kg. What motivated you to embark on this journey? It started with not being happy with myself. My clothes didn’t fit me anymore and I felt pretty tired, miserable and lacking in confidence. I was normally quite a sociable person but was cancelling social occasions saying I didn’t feel well so when this started to happen I knew I needed to do something about this. I had also booked a 500km cycling holiday covering Thailand, Cambodia and Vietnam so I needed to get myself in shape to make the most of this amazing trip! I travel a lot with work so eating on the go could be an issue as motorway services or hotels don’t always offer the healthiest choices but with a bit of education and planning I made better choices and stuck to my goals. Sometimes I had to stay away from home and my usual routine. I tried to stay in hotels with a gym so I could workout whilst away but if no gym I did some yoga in my room – even just getting your 10,000 steps in each day can really help you stay on track if you can’t train. Back then I was a studio bunny doing Zumba, step and aerobics 3 times a week. Although I was exercising I wasn’t seeing results so enlisted the help of a professional PT who started me off weight training which is when I started seeing proper results. I now weight train 3-4 times a week and do yoga. I can’t run on a treadmill or stairclimb for hours as it bores me to death so I try to get a couple of cardio classes in (Zumba, body combat or body attack) to get a sweat on and I enjoy them. How were you able to slip in time for your regular workouts during your hectic work schedule? I book my workouts in my diary like I would a business meeting – I wouldn’t let one of my clients down if I had an appointment with them so by treating my workouts like a meeting I don’t let myself down and get them done. Breakfast for me is normally an omelette with spinach, salmon and avocado, if I’m pressed for time it’s some pre boiled eggs and spinach which I grab and go. Lunch is normally shop bought chicken and salad or sushi, dinner is homemade turkey chilli or meatballs with homemade tomato sauce or steak with veg and rice or sweet potato. I also drink at least 2 litres of water a day. Snacks for me are boiled eggs, carrot sticks and hummus, sliced apple and peanut butter. If I fancy something sweet a couple of squares of 90% dark chocolate or 1 banana and Meridian cocoa peanut butter or Greek yoghurt and a scoop of chocolate mint flavoured protein powder (which tastes like mint aero!) are my go to’s. I’ve fallen a bit in love with weight training so I now have goals to get stronger and be able to lift more – I’m currently working on double bodyweight deadlifts and upping my squat weight with my PT as well as boosting my overhead pressing capability. I may be small (I’m 5ft) but I’m working on being pretty mighty! I’m also wanting to deepen my yoga practice with a view to sharing my love of yoga by undertaking a yoga teacher training course in the summer – it’s going to be a challenging but exciting year! Take responsibility and action – if you are unhappy only you can change it! Putting it off isn’t going to make it any better – taking that first step to improving your health and fitness might be scary but it’s amazing the momentum you build once you have started. Enlist the help of a friend or a professional to keep you on track – support can be underestimated in helping you meet your weight loss goals. Set yourself a none weight based goal – I had a favourite dress I wanted to be able to wear again so that was my goal.I hung it where I could see it to keep me focussed and remind me why I was doing what I was doing. This really helped when things got tough. Keep a food diary – I still keep one today – I log everything I eat or drink – it’s an old school paper diary so if I’m taking the trouble to get that out and a pen then that food better be worth eating!! It’s also amazing how certain foods or drinks can sneak into your diet and upset your progress if you don’t log it – writing it down will help you spot trends and be more mindful of your eating. Be patient – I didn’t go to bed one night and wake up 74kg!! The weight crept on overtime so naturally it will take time to come back off – be consistent and you will get there there is no quick fix much as we’d like one! Be kind to yourself – ditch the guilt and beating yourself up! if you have had a biscuit, cake or some wine enjoy it and move on! Don’t be mean to yourself and think all is lost – one treat won’t kill your progress but totally giving up will!